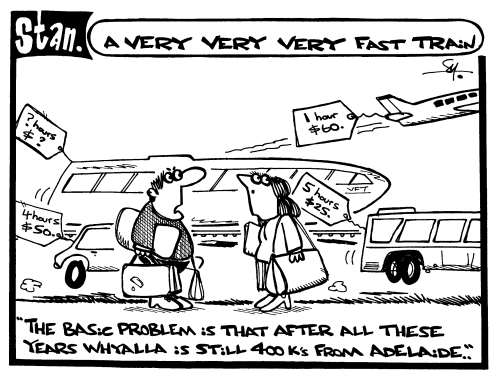 Of course, travel from Whyalla to Adelaide has always been an issue. The question is time versus cost. An aircraft might take less than an hour, but it will cost more than a five hour bus trip.